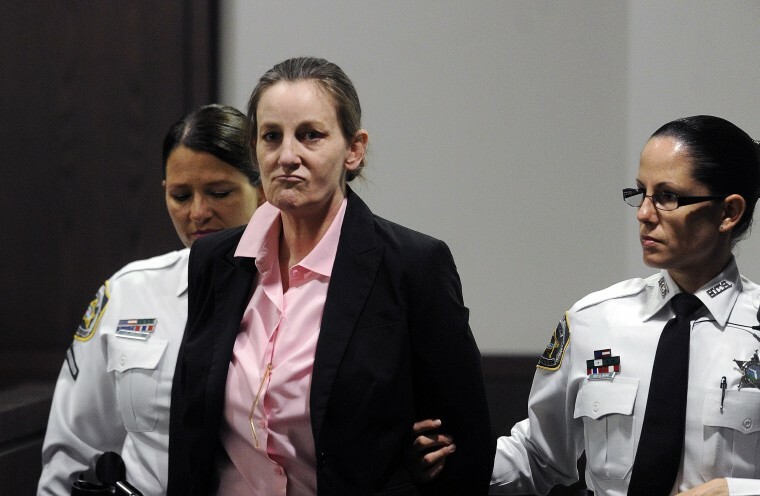 The trial of a Tampa mom charged with killing her two children opened with chilling testimony from Julie Schenecker’s journal, where the 53-year-old allegedly wrote of planning a “massacre” and how she couldn’t wait to get her hands on a gun. Scheneker is charged with two counts of first-degree murder for shooting her 13-year-old son Beau in the head and 16-year-old daughter Calyx in the face in January 2011. She has pleaded not guilty by reason of insanity. Prosecutors allege she planned the killings over several days. Her journal appeared to lay out a plot to kill herself and her children — including frustration over a mandatory waiting period to pick up a firearm — and how she fatally shot the teens with the gun she had purchased, according to NBC affiliate WFLA. “I was planning for a Saturday massacre,” Schenecker wrote in one entry read aloud in court Monday by police crime scene technician Matthew Evans. Schenecker, a former Army linguist and wife of a colonel, wrote that she was “hoping” the massacre would be that night, adding that she “cannot stand waiting” for five days. “The evil starts Thursday,” she wrote in her journal, saying that Calyx had called her an “evil soul” and would be the one who “gets it first,” according to WFLA. Further entries detailing how she “offed Beau on the way to practice” and “shout his mouthy mouth because he became so mouthy” were allegedly written after the killings, according to WFLA. “He had a healthy fight," she wrote, before detailing in chilling detail how she allegedly killed her daughter. "Walked up without her reacting, and shot her in the right temple," the journal read. "Then shot her in the mouth, her sassy little mouth." Prosecutors are not seeking the death penalty because they think there is enough evidence to prove Schenecker is mentally ill, but not legally insane, according to The Associated Press.